The tradition goes back further than I have photos to prove, but this photo (one of my favourite photos of all time) was taken back in Christmas 2007. 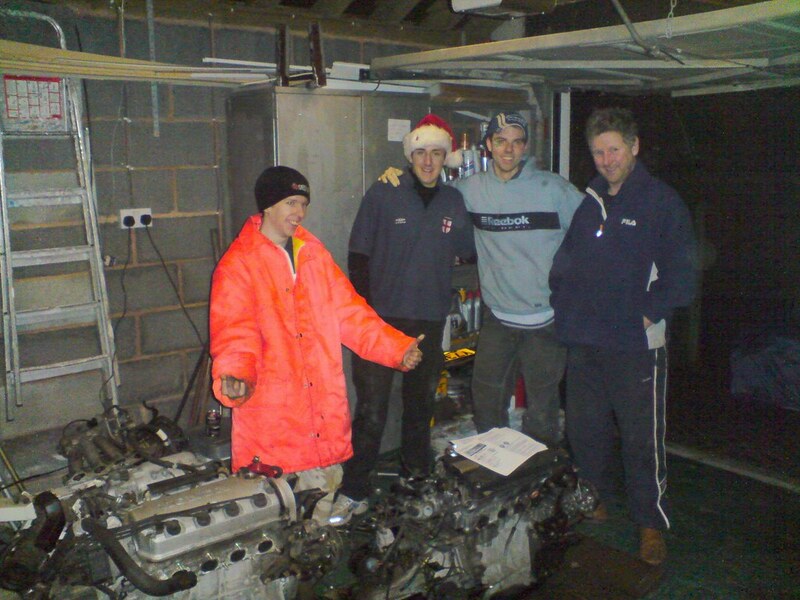 This was the Christmas when I (read: “we”) swapped the engine on my Civic. Well, I say swapped the engine…what I mean is I swapped the engine, gearbox, clutch, brakes, suspension, master cylinder, hubs, exhaust, ecu… pretty much everything. and here’s another from last year. 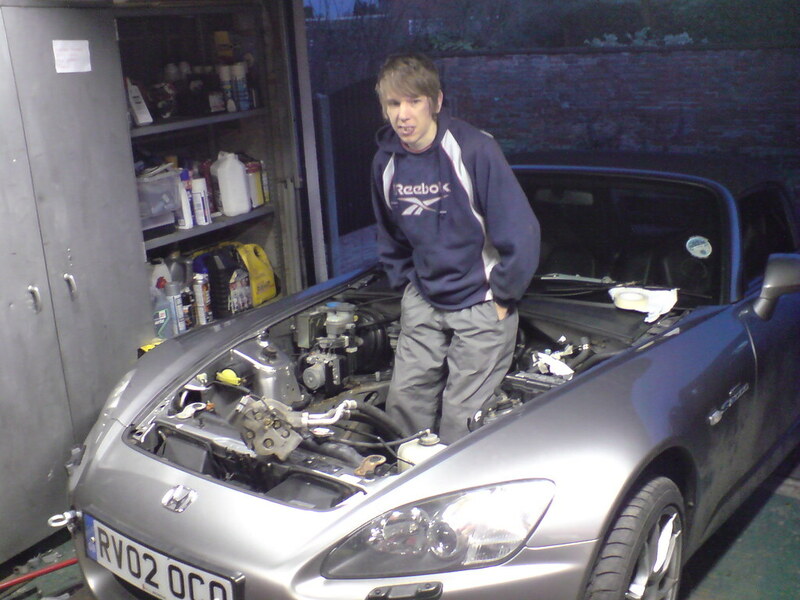 While driving to a race track (ironically) the F20 in my mum’s S2000 decided to blow up. Ooops. As timing would have it; this happened just before Christmas. 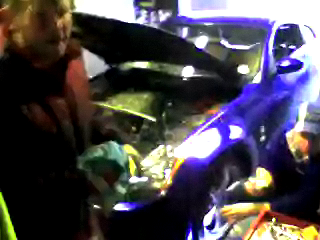 So, that was Christmas holiday 2008 decided; an engine swap on my mum’s car. The truth is; I have a bit of a reputation for being a “supervisor.” I point at things, and my fellow comrades usually take care of the heavy stuff. In fact, in the above, above photo; that orange jacket has been dubbed my “supervisor’s jacket.” My comrades in that photo (from left to right) are Jay, Rich, and my Dad. 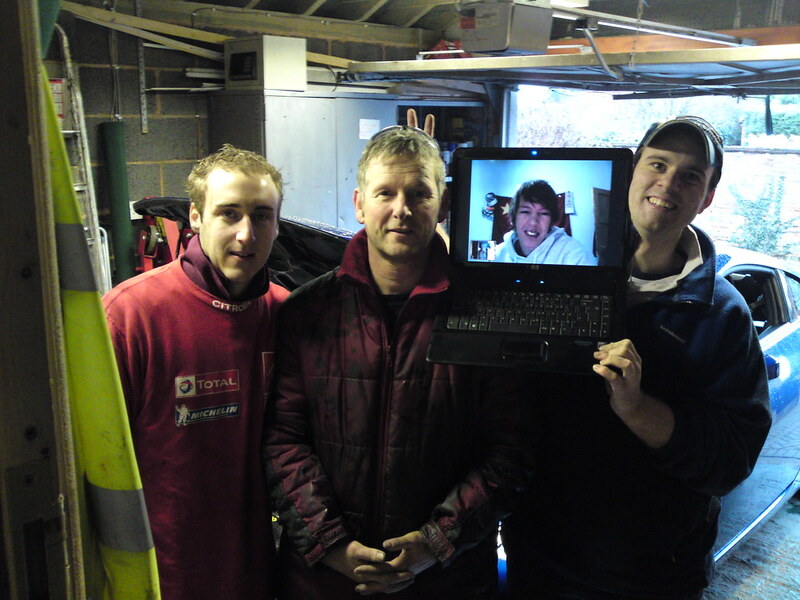 So, this year when Jay’s car needed servicing and so did my dad’s truck… well, I knew they wouldn’t be able to cope without their supervisor, so I supervised via webcam. 🙂 Good times. The thing I miss the most? The picture on the right. 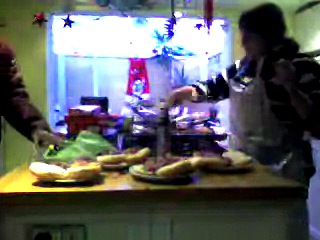 Home cooked hamburgers. Nothing like eating a greasy burger with your hands covered in god-knows-what poisonous things. It really does make them taste better, and that’s hard; because they taste gooooooood.